In day charters: cleaning, 21% VAT, insurance and gas butane. 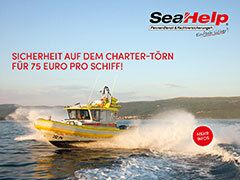 In weekend or weeks charter: VAT, insurance and gas. Mandatory pack confort if overnight on board: 350 €. Includes bedlinen and blankets, dinghy with outboard engine and cleaning. Prices dont include moorings. Ask for mooring prices if you want to overnight in the port. Mandatory skipper at 150 €/day, except for very experimented sailors.